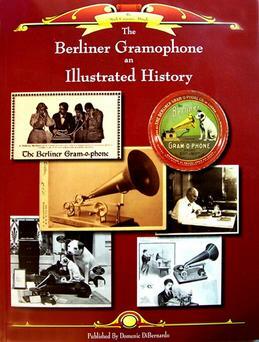 The Berliner Gramophone: An Illustrated History is the definitive work on Emile Berliner and his invention of the Gramophone. Richly illustrated with over 150 full-colour photos, this 80 page, 8.5" x 11" soft cover book also includes many previously unpublished images from archives and private collections. This wonderful book also contains the most complete cataloguing of Berliner Gramophones, including photos of all Kammer and Reinhardt, American, and Canadian gramophones. The Berliner Gramophone can be purchased for $30.00 USD. Shipping costs are $10.00 USD to the United States, and $15.00 USD internationally. Send orders to Domenic here.